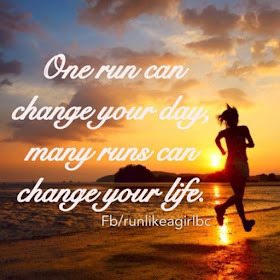 That Thing Called RUNNEY or RUNning JourNEY | JustRunLah! RUNNING connotes a lot of things. Physically, it’s an activity which involves moving from one place to another by means of actively phasing your feet to and fro, it may also mean that a certain object is fully operational, moving or functional; and lastly, figuratively it is moving away from something, fear or trouble perhaps, or from an obligation or responsibility. Whichever, its definition leads to one thing in common — MOVING! What I’m trying to point out in this blog is the physical activity or sports of Running with a discourse of its figurative meaning. (By the way, It has been roughly 5 months “running” since I wrote another entry in my blog). Why? ‘Coz there have been a lot of things running both in my life and in my mind that made me pre-occupied for quite some time (won’t dwell with it for now), but the good news is that I’m back! 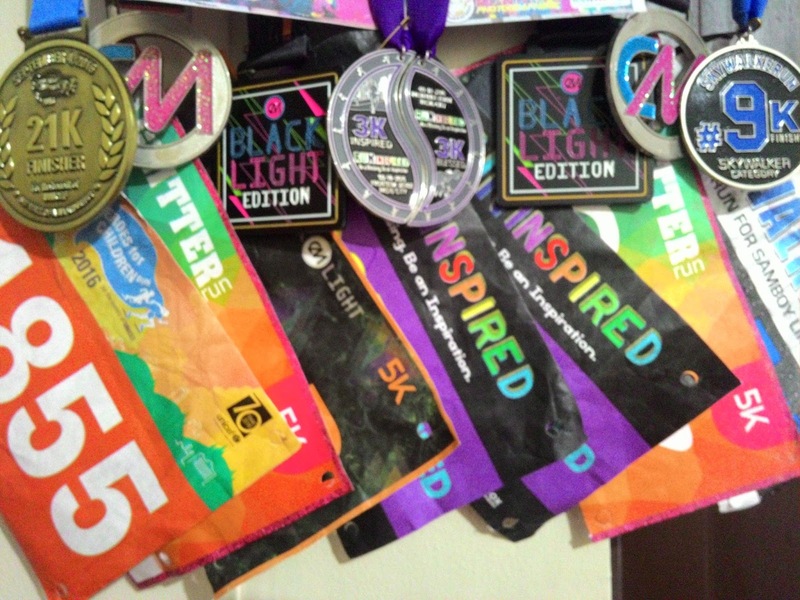 And I wanna blog more of my running experience and events that I have been through and will still pursue. To “Move” is to live. It is to actively do something. It’s exactly what I plan to do in my life; to move forward and go beyond the struggles of each day, living each moment, savoring every experience that goes with it and learning from its lessons either the easy way or the hard way. What’s important is believing that I can, believing is the first step in order to put something into action. 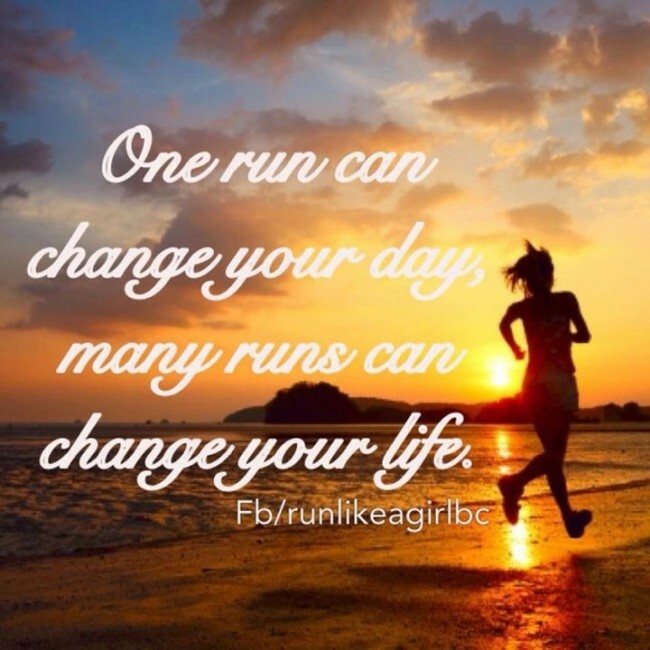 For me, Life is pretty much similar to Running! Looking back, in my childhood, I was an average chubby kid (until now and I blame my genes for it tho’, but actually having an appetite of a hippo could be a big factor as well, hahaha, however, ‘coz of running and working out I’m getting a bit leaner these days) who was quite active, In my grade and high school I was into volleyball. It entails a lot of running and moving especially during training in the high school varsity. I was also into CAT (Citizens Army Training) since freshman days, training to be an officer, I was one of the 3 youngest ones among our batch. It sure did test my physical endurance (a lot of running her and there), shredded a few pounds and fortunately instilled discipline in my being. So I’d say I was chubby yeah but not that much, was not completely a couch-potato and fairly leaner in my younger years. When I entered college and studied to being a Dentist, there came the dark years of my life, I was not active in sports nor in any physical activities. To make things worse, since I was studying along the University belt, fast food and street food are everywhere, food rich in saturated fats are enticing me left and right, stress from studying and clinical requirements didn’t help at all, and when I get home I would literally engulf a the whole rice cooker and gulp almost a liter of coke in one sEATING! Surely, a healthy lifestyle was running away from me or vice versa. I needed to do something, but it cost me several years to realize it. I eventually graduated, worked and still no active lifestyle for me. Once in a while, my family would go to Quezon City Circle and play a bit of badminton or go biking but after that we would eat to our hearts delight — there goes the calories burnt, just replaced it with even more! Then the day of Reckoning came, when I learned that I too got my mother’s illness, chronic conditions called hypertension and diabetes at an early age of 28. Maybe it was there years prior but I was just not noticing it or possibly ignoring it, so I needed to take prescription anti-hypertensive and hypoglycemic meds in the hope of correcting it. 8 years since then, I still am hypertensive from time to time, my blood sugar rises occasionally, and still a bit over from my ideal weight. But one thing has changed, I am now head on and not “running away” from it, I know that it’s chronic and maybe a lifelong condition and that I need to address this in a holistic approach. That’s where “RUNNING” came in! I’m not young anymore to do my fave sport which is volleyball, I do badminton from time to time but finding a good court and a regular playmate is a challenge. I also learned playing tennis, I have a “Babolat” racket, but renting out a court is quite pricey not to mention havin’ a regular playmate is even harder. While in Running, I only need a good pair or two of running shoes and I’m off! I started out just doing laps along the basketball court within the enclave of our subdivision, 5 to 10 laps at least a couple of days in a week, then without noticing it increased to 20 to 40 laps four times a week. Running surely tests but enhances one’s endurance as well. 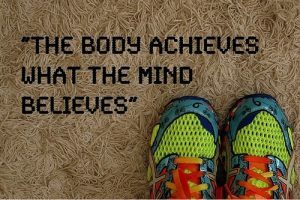 And that’s what I like most about running, besides the adrenalin rush, the feeling of having your stamina improved every single day. The key is just to run, and run, without neglecting safety and physical health of course. 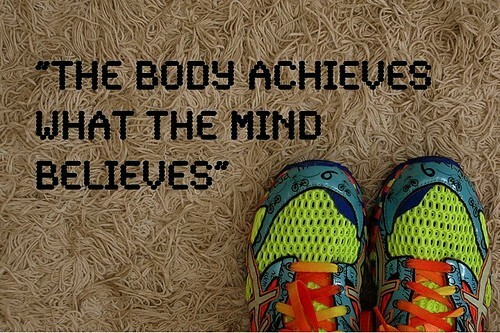 I believe that running has not just become a hobby but a habit and a lifestyle! June of 2015, I was fortunate to work abroad, somewhere in Africa, so naturally my running regimen was put on hold. If you’re a first time OFW, necessarily your focus is work. When you work for 6 days straight every week and your rest day is solely a single day, then rest is important to you. Fortunately, my fellow OFWs are physically active and play tennis on Fridays, which is our rest day, every week. I started to learn and love the game, but before every game I would often run within the premises of the hotel where we play — and that prompted me once again to run! It happens that a college schoolmate friend is into running, he was the one who partially motivated me to join fun runs, (but for the record, I’ve always loved running all by myself or with friends since I was very young.) When I got back home, I told him I wanna try out my first fun run. And so it actually transpired, my first 5k fun run was a Color Manila organized Run called “Blacklight Run” where all runners wore this Blacklight headlamps and were splattered with different colorful powders while running in pitch black night all soaking wet as fireman hoses sprinkled water on everyone — it was really FUN! Not to mention, that this fun run is actually for a good cause after all, it was not just for friends to have fun but to extend an extra hand to others. It was surely a memorable run for me. But my second run, was by far the best ‘coz I convinced my wifey to join in the fun, we ran in another Color Manila organized run called “Glitter Run” their first “glitter theme” as well. It was perfect! even if the heavens was pouring an enormous volume of rain that day, the runners were unstoppable, we just enjoyed every bit of rain and colors throughout the whole run. It was ultimately surreal and fun to have your significant other share your passion. Essentially, I have 3 motivations why I run and join fun runs — first, I run ‘coz of that childhood experience that has awakened my inner being and became a passion overtime; second, I run for fitness, I need to be fit and healthy not just for myself but for my family as well; and third, I run for the causes that each organizers put into every runs. It’s really rewarding knowing that with every stride I make, every ache and cramps I get, and every breath i need to catch, I get to help in a specific cause. In my own little way I have made a difference — and I want to continue on making a difference in this world. Most recently, after more than six months of training, I have accomplished one of my bucket list — to run my first #halfmarathon! 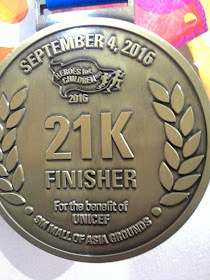 Yeah, 21km non-stop running (oh well, realistically since I’m not in athlete form yet, there were several walks in between) until the finish line. I ran my very first longest run, in both distance and time, (Officially I finished 3hours and 3minutes — not bad for a first time half marathoner eh!?) ever and I’ve never felt fulfilled, satisfied, tired and aching all at the same time for the first time in my life — but it was all worth it! 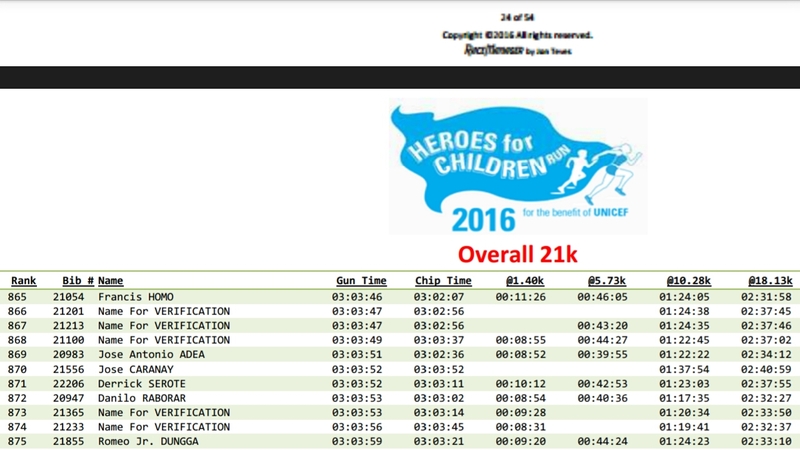 On that day, 4th of September, 2016, I became a hero for every Child! It was a pretty sight to see kids run for a cause for other children, as I was passing along the last 1km strip to the finish line, I saw kids, especially kids with disability, participating in the 500 meter run. It was heart-warming to see them, at a very innocent age, do something genuinely good for the benefit of other children, not thinking that they are kids themselves — such heroic acts that no words can ever fathom. And because of this, I am fully convinced that what this is isn’t only a passion, not merely for fitness either but for a good cause! And I will be choosing the next runs I will participate in, those with authentic and pure-hearted cause to extend a helping hand to those who need it! 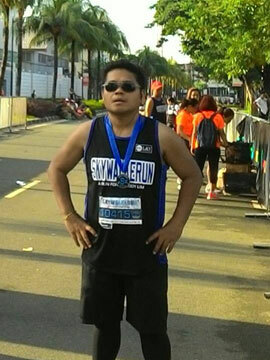 As of this writing, I have finished running in two runs organized by RUNtarantantan which is founded by celebrity Bearwin Meily, who is also a motivation to me because of his fitness journey through running. 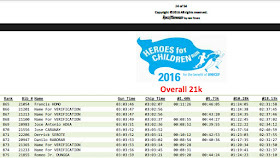 first was a 9k run in the “SkywalkeRun” for the benefit of medical assistance to the PBA superstar Samboy Lim and the second was a 3k run in “RUNinspired” where I once again ran with my wifey, who among others is my real inspiration why I run. I’m currently training almost four times a week ‘coz I plan to run in 2 Half Marathon events this November, the 21k Challenge by Pinoy Fitness and the 22k Gatorade Run. and most probably my last run for the year which will happen on December 11th, the HOPE Run for Children with Special Needs — i wanna wear the cape and be their hero! But certainly, my running stint will never end this year! I am merely warming up! it is only the wonderful beginning of That Thing I call “RUNNEY” or RUNning JourNEY! Click here for more post from DocRoms.